In any upscale restaurant around Los Angeles, you can’t throw a stone without hitting a celebrity, even if most of them are hidden in the back corner. 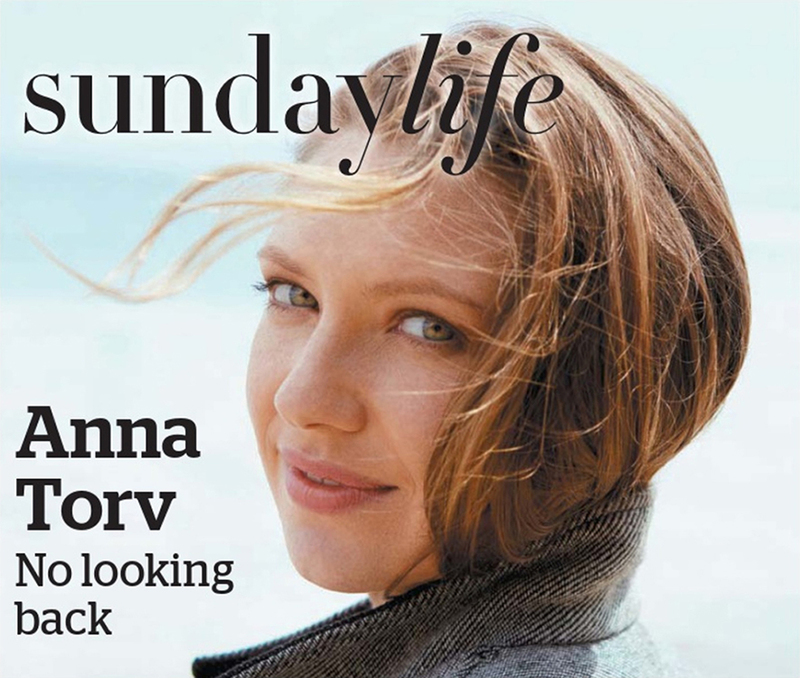 But not only does Australian actor Anna Torv choose a sunlit front patio table at popular hotspot Goldie’s for our interview, her accent prompts a gushing reaction from our over-the-top waiter. “We have an Australian actress who comes in here all the time, but I can’t remember her name!” he brags. Torv has agreed to meet me for lunch at the hip restaurant owned by the trio of Aussies who are also behind the West Hollywood favourite Eveleigh, and she’s excited to talk about her starring role in the new Foxtel series, Secret City. But she’s far too modest to play the “Don’t you know who I am?” game and just smiles with polite curiosity as the waiter hurries off to figure out whose name he should be dropping. With the kind of ethereal beauty and talent that have earned her comparisons with fellow NIDA graduate Cate Blanchett, Torv is so far best known for her long-running role as FBI agent Olivia Dunham on the Fox sci-fi drama Fringe, which ended in 2013. Yet as we sit at a street-facing table that flanks a verdant living wall of plants, Torv insists fame was never a priority. Surrounded by a pretentious LA crowd clutching designer handbags, the down-to-earth Torv stands out in a well-worn denim shirt and jeans and no jewellery. Her hair is pulled back off her face in a ponytail to reveal green eyes and pale, luminous skin without make-up. She confides that doing publicity has never been easy for her.